Following along the same lines as its predecessor (Agricola), Caverna: The Cave Farmers is a worker-placement game at heart, with a focus on farming. In the game, you are the bearded leader of a small dwarf family that lives in a little cave in the mountains. You begin the game with a farmer and his spouse, and each member of the farming family represents an action that the player can take each turn. Together, you cultivate the forest in front of your cave and dig deeper into the mountain. You furnish the caves as dwellings for your offspring as well as working spaces for small enterprises. 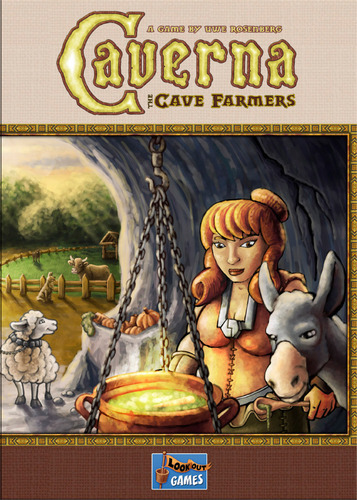 In Caverna: Cave vs Cave – Era II – The Iron Age, the players start exploring a side cave abundant in ore. Donkeys help you move the ore to the surface so that you can cast iron and forge weapons out of it. Forgotten Folk consists of eight different species or race packs such as elves, dark elves, and trolls, and now each player in Caverna can be one of these species instead of only the dwarves in the base game.